At its peak around the second century AD, the Roman Empire spread across more than five million square kilometres. Using modern geography, the empire went from Spain and Morocco in the west to Iran in the east. It went from the United Kingdom in the north to Egypt in the south. Look at a map of Europe and North Africa and then imagine most of it covered by the Romans. Controlling such a huge area was a difficult task and, as historians know, eventually it became too hard and the empire began to break apart. But there were many centuries when the power of the Senate, the Emperor and the associated bureaucracy successfully governed their land from Rome. At the centre of it all was the Roman Forum. 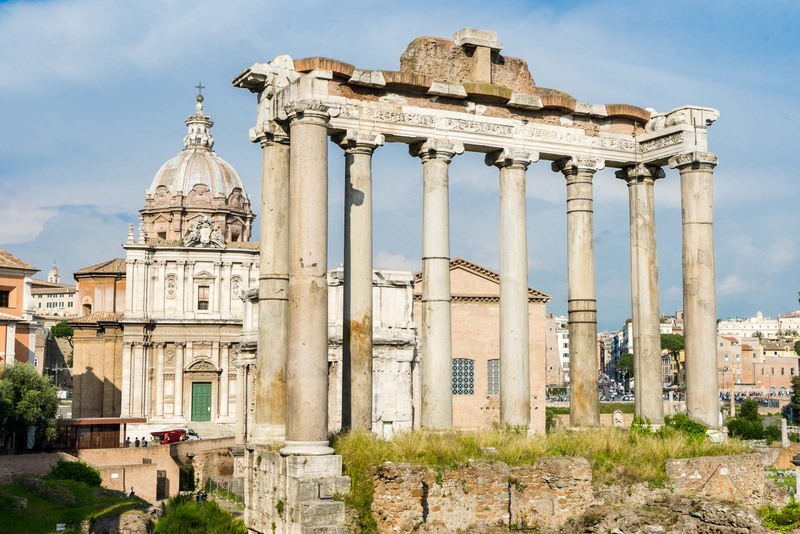 The Roman Forum was more than politics, though. It was the teeming heart of the empire and the city. It was where the population gathered to hear orations, take part in processions, watch trials, and vote in elections. The site was also extremely important for commerce. It served as an enormous market, attracting tens of thousands of visitors, with stalls, shops and taverns throughout the area at different stages in history. Over time, though, the civic aspects of the forum took over and most of the markets moved to other places in the city where they had more space. 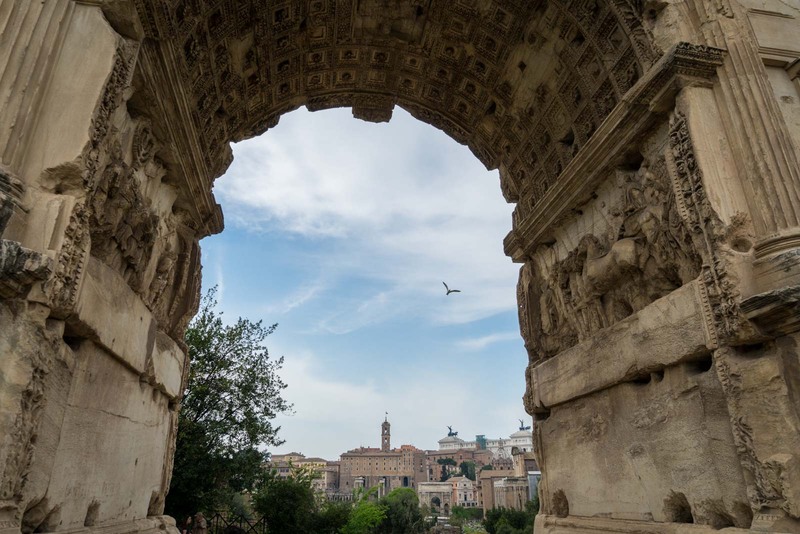 In the Roman Forum, politics, religion and high society created their ultimate meeting place – one of the greatest the world would ever see. I come in to the Roman Forum from the northeastern entrance after visiting the Colosseum. The Arch of Titus stands tall, greeting me. It’s a barrier, causing me to pause and consider where I am, yet it is also an invitation to enter. How many people over how many centuries have done the same thing? Below the arch, stretching out for hundreds of metres ahead of me, is the central thoroughfare of the forum. I walk down the steps and then follow it along to the end. It’s not a grand avenue these days, more a meandering path that bends through the remains of buildings. 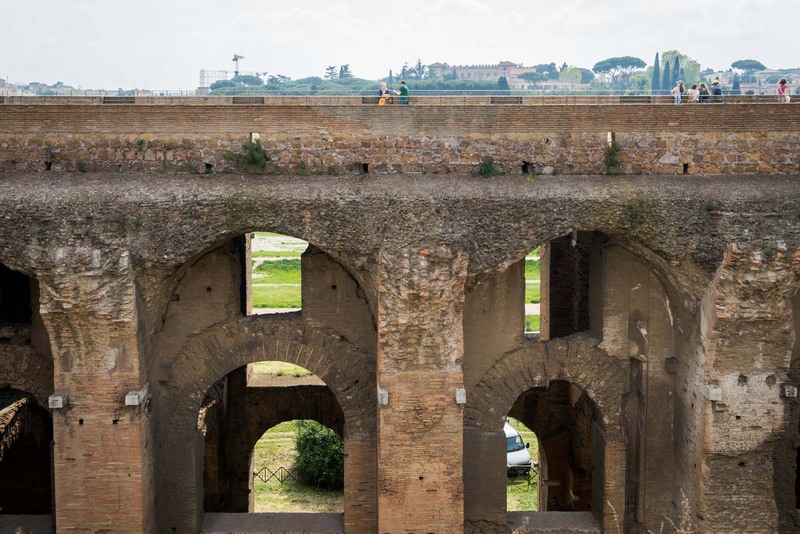 To the right, the Basilica of Maxentius dominates. The three vaults that remain are enormous and they make me feel small down here on the ground. It was built in 308 AD and was the largest building at the time. As I slowly make my way through, more buildings make me stop and consider perspective. The Temple of Antoninus and Faustina, a bit further along on the right, is particularly impressive. It was built in 141 AD but turned into a Catholic church in the seventh century. 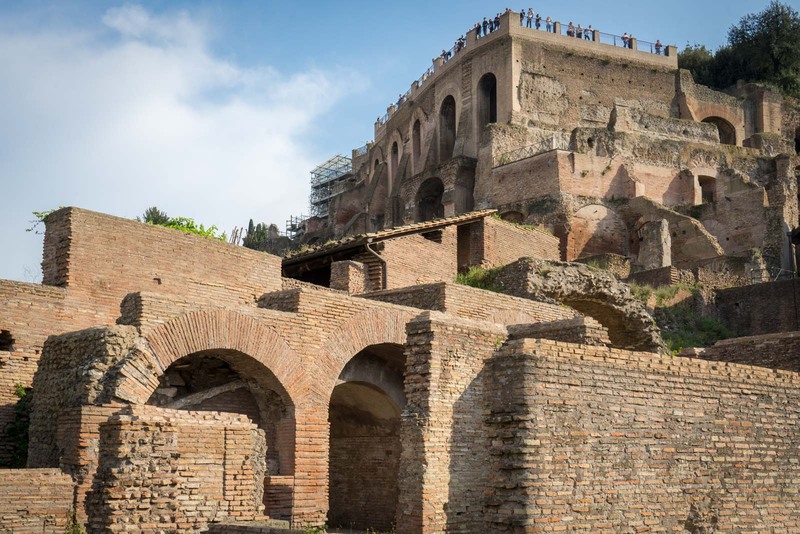 Many of the structures just have their foundation or lower walls, like the House of Vestals, which would once have been a three-storey palace with 50 rooms and a central courtyard with a pool. 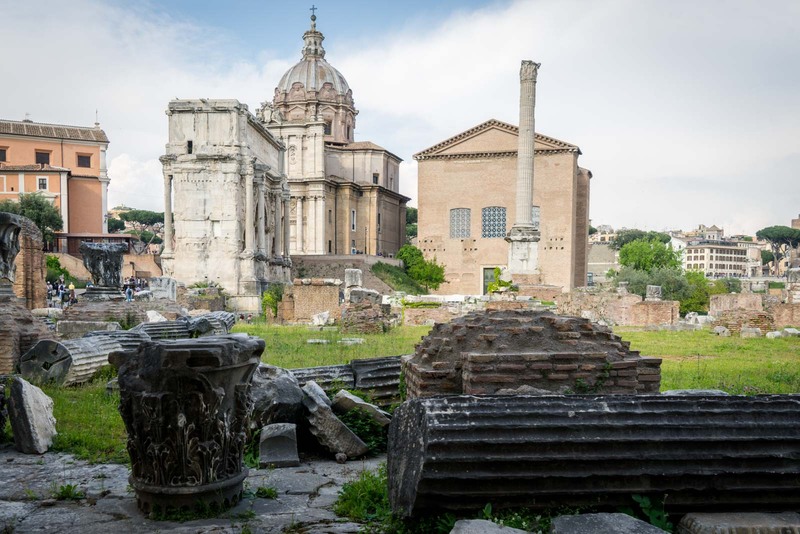 Or there are the three sad columns that are all that’s really left of the Temple of Castor and Pollux which was used by the Senate as a meeting place sometimes. At the western end, is the official meeting place of the Senate, the Curia Julia, built in 44 BC by Julius Caesar. There’s the impressive marble Arch of Septimius Severus, built to commemorate the Parthian victories of Emperor Septimius Severus and his two sons, Caracalla and Geta. And there is what remains of the great Temple of Saturn, the eight surviving columns that appear so iconic. I like the view from the western end. From here you get a sense of the scale of the Roman Forum and you can see how the different areas connect together. It’s much easier from this side to imagine the ground bustling with people and impressive buildings all throughout. And from here, you can also see Palatine Hill. 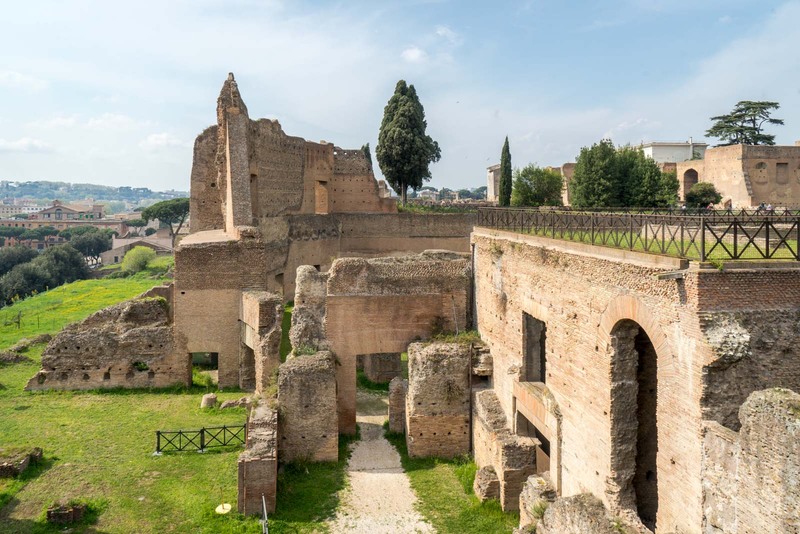 Palatine Hill is not technically a part of the Roman Forum but, from the perspective of a tourist, they are effectively the same site, in that a ticket gives you entry to both and you’ll move between the two without realising exactly where one ends and the other begins. 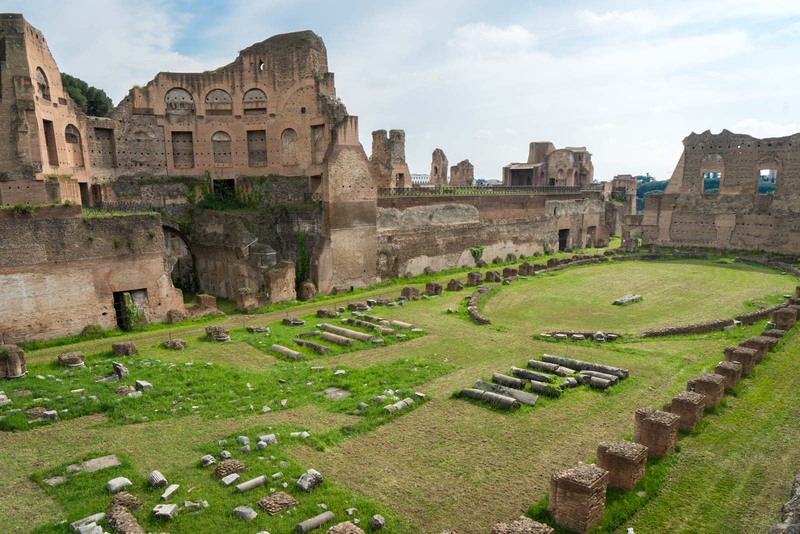 Palatine Hill is the most central of Rome’s seven hills and, in many ways, it was the centre of Rome’s story. The hill is at the core of the myth about the legendary founders of Rome, Romulus and Remus. And, more tangibly, it was where the emperors built their homes from Augustus in 27 BC. It’s surprisingly peaceful up on the hill and there’s also much more to see than I had expected. The remains of the majestic homes built by emperors are here, as is the enormous hippodrome and stadium. Further around, the baths and aqueduct are impressive even so many years after they were built. There are also gardens that have been well maintained and have great views over the Roman Forum below. I’ve said previously that the Colosseum is the best site to visit in Rome and I stand by that. 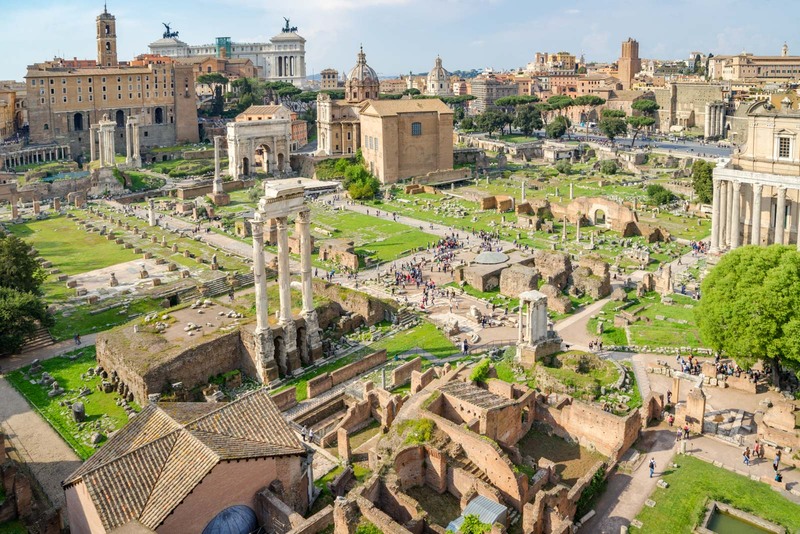 But I would not argue with anyone who claimed that, actually, the Roman Forum and Palatine Hill combination is the best. You do see so much of the history and really start to understand how Ancient Rome may have once looked. The good news is that the same ticket lets you into all three sites! 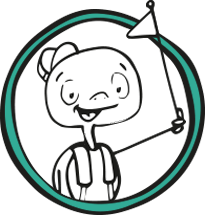 Have a look in the practical information below to see your options and how to save time and money. 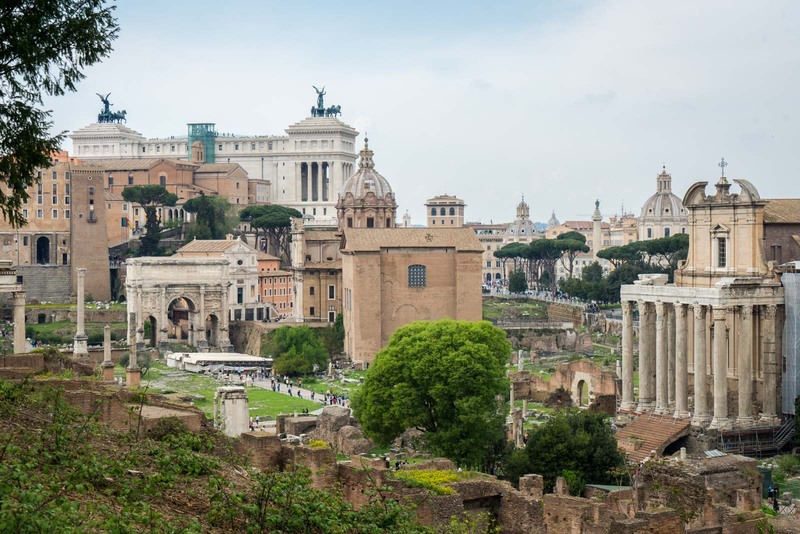 When is the Roman Forum and Palatine Hill open? 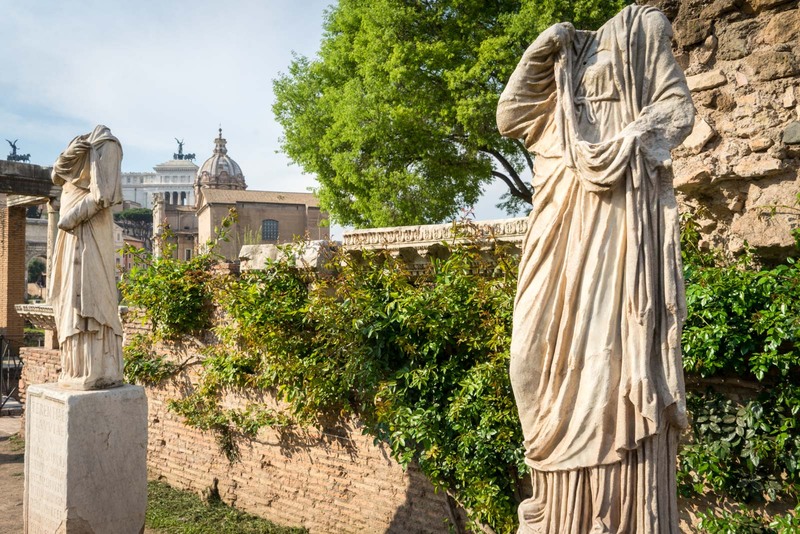 The opening hours for the Roman Forum and Palatine Hill change throughout the year. From January 2 to February 15, it is open from 0830 – 1630 (8:30am – 4:30pm). From February 16 to March 15, it is open from 0830 – 1700 (8:30am – 5pm). From March 16 to last Saturday of March, it is open from 0830 – 1730 (8:30am – 5:30pm). From last Sunday of March to August 31, it is open from 0830 – 1915 (8:30am to 7:15pm). From September 1 to September 30, it is open from 0830 – 1900 (8:30am – 7pm). From October 1 to last Saturday of October, it is open from 0830 – 1830 (8:30am – 6:30pm). From last Sunday of October to December 31, it is open from 0830 – 1630 (8:30am – 4:30pm). 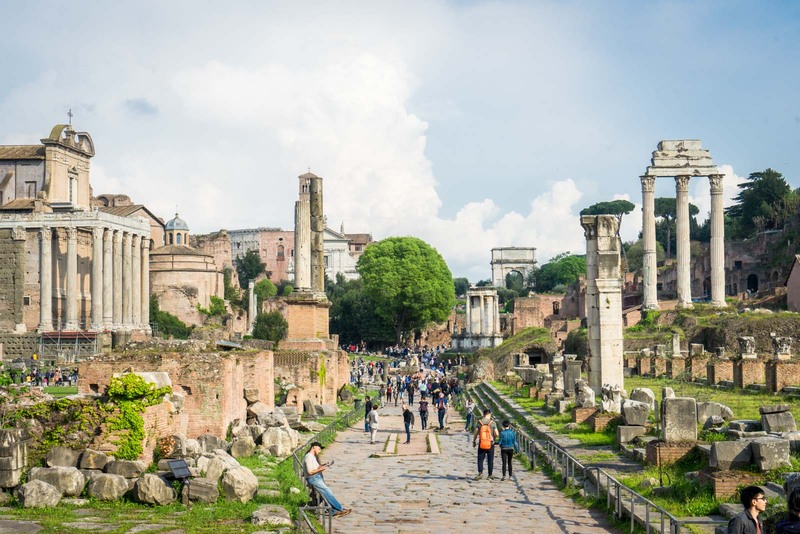 How much does it cost to visit the Roman Forum and Palatine Hill? A combined ticket to the Roman Forum and Palatine Hill costs €12 for adults and €7.50 for a concession (you can't visit them separately). The good news is that the ticket also gives you entry to the Colosseum. There are often long queues to buy tickets and get in and that can take hours on busy days. If you want to buy a ticket in advance that will let you skip the queue completely, I recommend going with this one. Although, if you're going to do a lot of sightseeing, you may be better off with the Vatican and Rome Pass, which I'll explain below. 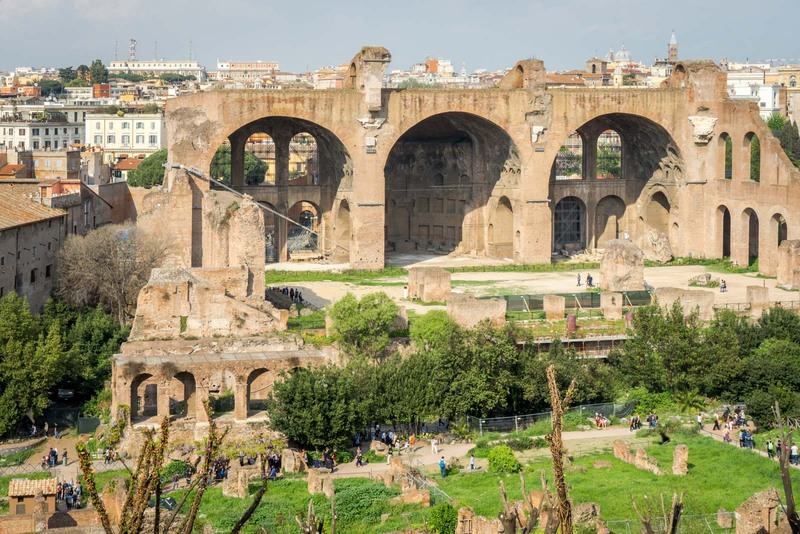 Are the Roman Forum and Palatine Hill included in the Vatican and Rome Pass? Yes, if you have the Vatican and Rome Pass then you'll be able to use it for free entry into the Colosseum, Roman Forum and Palatine Hill. You'll also get fast-track entrance for the Colosseum which lets you skip the line. The pass also gives you free entry to other sights like the Capitoline Museums and the Vatican Museums. You can buy the pass online here or you can read my review here. 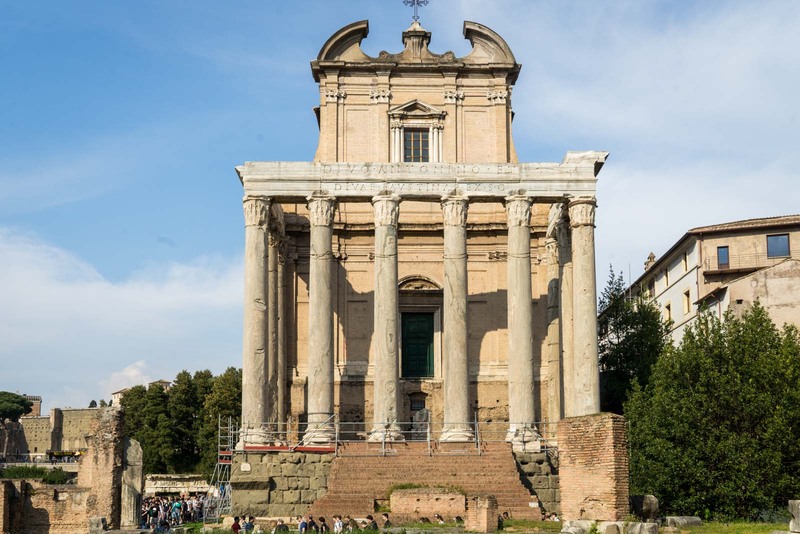 Are there tours of the Roman Forum and Palatine Hill? Yes, there are tours, and most of them also combine the Colosseum. It's a good way to understand what you're seeing because there isn't much information provided once you're inside. If you are interested, I would recommend this 3 hour tour of the Colosseum and Roman Forum. If you would like more time to explore the sites (and there is a lot to see), then there is this longer tour. 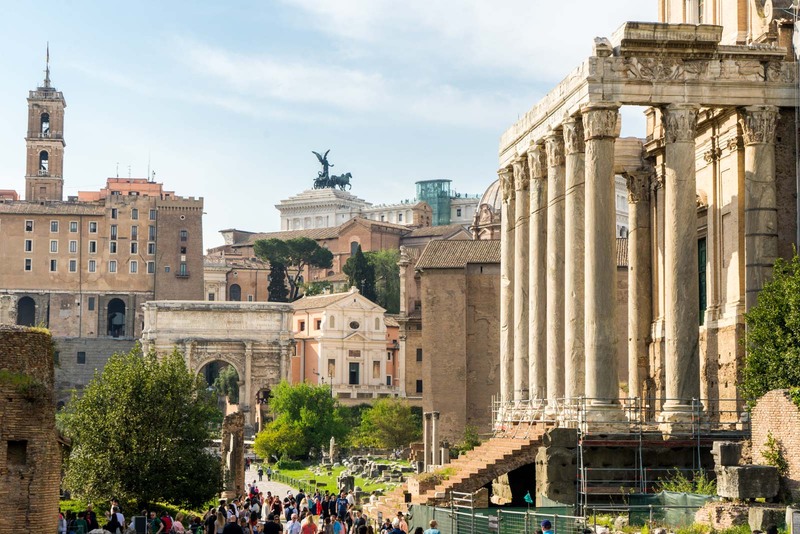 Where should you stay in Rome? If you’re looking for a hostel, I would suggest the very cool Generator Hostel. For something affordable but comfortable, Roema Guest House is a good option. For good value but slightly upmarket, you should try the C'est La Vie Suites. It's not cheap but the design hotel G-Rough is pretty amazing. And if you want to really splurge for somewhere incredible, have a look at Portrait Roma. Hello, I am visiting Rome soon and wanted to buy ticket sin advance. I looked at the link to your recommendation above and the price (around 28 euro) is well above the ticket price you list for the colosseum (12 euro). I’m not sure what I’m missing here, why is there such a discrepancy? thanks. 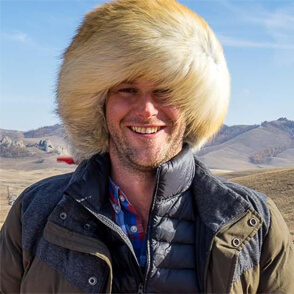 Hi Karina. It’s a good question. The one I recommend is more expensive because it saves time and hassle. You meet a guide who takes you in the fast-track entrance at both the Colosseum and the Roman Forum. It means no queues to buy tickets and no queues to get in. It is obviously more expensive but in busy tourist periods, it can save hours of your time. If you’re going during a quiet period, you don’t even need to buy a ticket in advance – there won’t be much in the way of queues anyway. Hope that helps! I took the one from 28 euros, I found it very well.